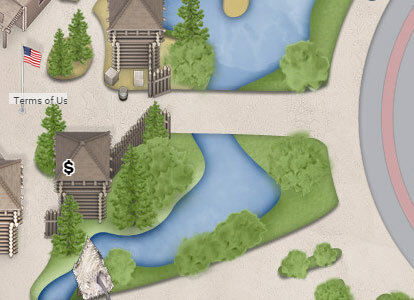 The portal to Frontierland is directly west from the center circle of Main Street. There is a short walkway across about 15 feet of water which is more or less connected to the moat around Sleeping Beauty's castle. 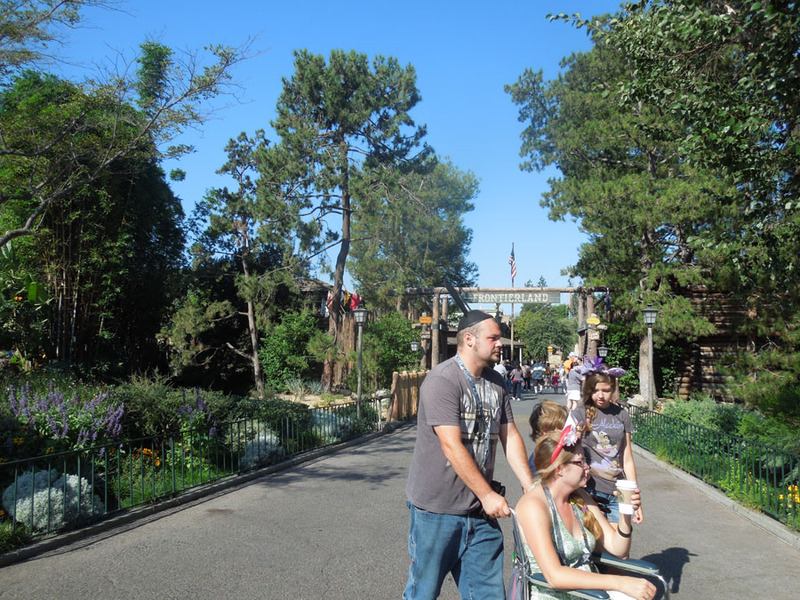 The Frontierland gate looks like the doorway into an old army fort on the American frontier. 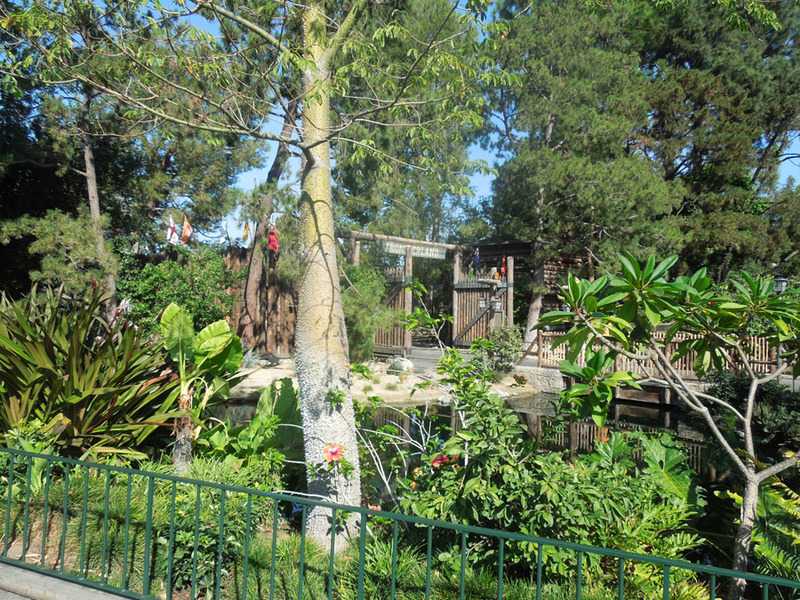 Here's a photo of the Frontierland gates from the bridge to Adventureland.